By E.J. Schultz . Published on September 22, 2016. Want a Gatorade? Then you better earn the sugar. This is the message the sports drink is sending with a new digital video series that tackles sugar concerns head on by suggesting that if you aren't burning calories, this is not the drink for you. So much for Gatorade as a hangover cure. The series, called "Burn It To Earn It," stars pro athletes J.J. Watt, Bryce Harper and Karl-Anthony Towns surprising everyday people and challenging them to work up a sweat. If not, then they are deemed not worthy of Gatorade. In one of the ads Mr. Towns confronts a guy leisurely drinking a Gatorade while strolling down the street. "Gonna make you earn that sugar in that Gatorade," the NBA star tells the man before engaging him in some basketball dribbling. "With sugar being such a hot topic of conversation, especially in the beverage space, we wanted to talk about it head on -- that our product is for athletes, the sugar is functional. 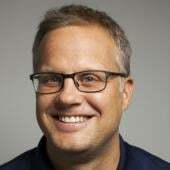 It's in there for a reason, to help fuel athletes and we are actually proud of it," said Kenny Mitchell, who oversees the brand's advertising as Gatorade's head of consumer engagement. "We just want to make sure folks are earning it [and] we wanted to make sure that message is clear." It's common for brands to target specific consumers. But it's not so common for marketers to do it in a way that specifically states who their product is not for. In doing so, Gatorade potentially risks turning off consumers who buy it just for the taste, or to re-hydrate after a long night of partying. "My grandmother has this saying when we play dominos that not all money is good money -- you've got to be very purposeful," Mr. Mitchell said. "And we are purposeful with our efforts, really focused on athletes and helping to innovate for them, and helping to drive their performance. And that's who we serve. That's who we obsess over. And this message is very consistent in how we behave as a brand." The video series is by TBWA/Chiat/Day. It will get paid support on Snapchat, Twitter, Facebook and YouTube, Mr. Mitchell said. One of the ads features Mr. Watt challenging a woman to take on a blocking sled after she is described as having a "blatant disregard for the rules of Gatorade" because she is drinking it while not sweating. In another ad, Mr. Harper forces a man into an all-out sprint before deeming him worthy of Gatorade. Gatorade started down this path two years ago with a similar digital series called "You don't sweat it, you don't get it" that starred Peyton and Eli Manning, Cam Newton and Mr. Watt. The videos that ran in 2014 and again in 2015 emphasized that consumers had to work out in order to deserve Gatorade. But the ads did not specifically discuss sugar. A 12-ounce serving of regular orange Gatorade contains 21 grams of sugar. By comparison, a 12-ounce Pepsi has 41 grams of sugar. The new ads come as Gatorade increasingly faces new competition from smaller sports drink brands who are seeking to make inroads into Gatorade's dominance in the athletic space. One of those competitors is Aspire Sports Drinks, which touts itself as having "significantly less sugar and none of the artificial ingredients found in the leading brand sports drinks." The brand earlier this year inked a deal to become the official sports drink for University of Wisconsin sports teams. The drink is sweetened with pure cane sugar, erythritol, and extracts from the monk fruit and stevia leaf, according to its website. 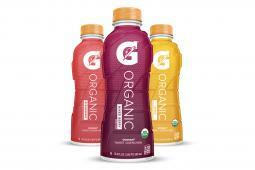 For its part, Gatorade in August launched a new organic Gatorade version that is described as being "made with just seven ingredients and offers athletes a fueling option that is USDA certified organic, while still providing the scientifically proven fueling benefits found in Gatorade Thirst Quencher." The drink contains the same amount of sugar as regular Gatorade.